THE SECOND ANNUAL REDBANK VALLEY DAY OF GIVING WILL BE HELD ON THURSDAY, MAY 10TH to benefit eight participating charitable organizations who, through their volunteers, are working to improve the Redbank Valley. The proceeds go directly to help with their missions, with very little, if any, administrative or fundraising costs. The participating organizations this year are: Brandon’s Dad (DUI Awareness), New Bethlehem Fire Company #1, Redbank Renaissance, Redbank Valley Church Association, Redbank Valley Community Center, Redbank Valley Education Foundation, Redbank Valley Public Library, and Redbank Valley Trails Association. It is hoped that the event will grow in future years to include other area 501(c)(3) organizations that were not able to participate this year. Click the organizations below to view donation information and links. Brandon’s Dad is a non-profit organization developed by Vernon Hilyer after losing his only son Brandon in a DUI crash at age 21. 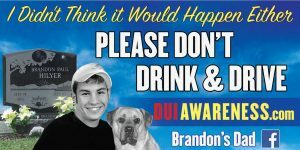 Brandon’s Dad works daily to change and save lives thru alcohol education and sharing the real effects that DUI has on families and friends….forever. When you donate to the Brandon’s Dad organization, the money is used for travel expenses to high schools from Jamestown, NY to the Harrisburg area, universities, 3 State Prisons, and on a continuing basis to 3 county Adult Probation DUI Classes, and donations help with the expense of billboards, Intoxication Goggles and Pedal Karts that are used to demonstrate the effects of being under the influence. During summer fairs and festivals, he travels across Western PA to educate students while working to keep their parents’ dreams alive. Mr. Hilyer sees results. So many have said they see the billboards, they contact him on Facebook.com/DUIawareness (Brandon’s Dad there) or they email or message him to say how much they appreciate what he has done for them. Brandon’s Dad has truly made the highways safer for everyone in our area, but needs your financial help to continue this life-saving mission. New Bethlehem Fire Company # 1 is a completely volunteer fire company covering approximately 56.5 square miles, including New Bethlehem Borough, Porter Township and parts of Redbank Township, Clarion Co. and South Bethlehem Borough in Armstrong Co. for fire, rescue and emergency response, as well as community service. The department also provides mutual aid to neighboring fire companies. Most of the equipment and training is funded by donations. Equipment and training need to be maintained and constantly upgraded with the latest technology to meet compliance and safety regulations. Better equipment enables the volunteers to save lives and property faster and more effectively. For more information or to donate please visit our website at www.newbethlehemfire.com. Redbank Renaissance is a revitalization group with a multifaceted approach. Its efforts include the Garden Keepers who plant and maintain the public gardens around New Bethlehem; the Redbank Valley Historical Society recording past and current history with the hope of opening a museum and genealogy center; tourism and business promotion through the Towns and Trails Regional Initiative, promotional video and regional Welcome Brochures; business assistance and façade, signage and bike rack matching grants; community clean ups, Dog-i-Pot stations, and community calendar to improve the New Bethlehem and Redbank Valley area. All these efforts depend on public donations. Information can be found on its website at www.redbankren.org, on Facebook and at 814-275-1718. Redbank Valley Church Association is a para-church organization committed to fostering and supporting religious, charitable and educational pursuits that proclaim, promote, enhance, and further the Kingdom of God through the Gospel of Jesus Christ in the Redbank Valley. Its mission includes a food pantry for the Redbank Valley area, a yearly scholarship fund for local high school students, annual ecumenical church services such as a Hymn Sing at Gumtown Park, a Gospel Music program at the Clarion County Fair, a community Thanksgiving Eve Service, community Lenten Services, an Easter Sunrise Service and a Christmas Festival of Carols. RVCA organizes pastors to write articles for The Leader-Vindicator and provide Sunday afternoon services at Broadwood Towers and Edgewood Heights. The Share in a Dream Scholarship is an opportunity for any senior attending the Redbank Valley School District who is a participating member of a Redbank Valley church and who satisfies the application criteria. The number of scholarships depends on money donated each year. Between 2008-2018, 123 scholarships, of $500.00 each, have been awarded by RVCA. Staffed by volunteers, the Food Pantry began in 2001 to assure that Redbank Valley School District students had basic foods to meet their needs so that they would be more likely to succeed in school. The Food Pantry broadened to provide supplemental food to all families in the school district. Over the past 5 years, an average of 145 families have benefitted monthly. A goal is to raise funds to sustain the food pantry, and provide meat for meals on Thanksgiving, Christmas and Easter. Donations are needed and much appreciated for the Food Pantry and Scholarships. www.RvChurchassociation.org; [email protected] or 814-275-1880. 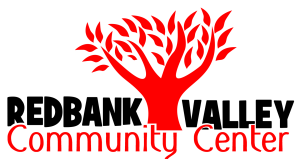 Redbank Valley Community Center’s mission is to provide an environment of encouragement, education, and entertainment to meet the needs of our community. The current focus is on the physical, spiritual, emotional and developmental well-being of community members of all ages. Programs include a weekly senior center, community youth group, open computer lab, refreshments during food pantry, Weight Watchers and knitters/crocheters group, among others. The center offers space for family celebrations, parties, yoga and music classes and other group events. All programs and events depend for their support and continuation on public contributions. Visit www.rvcommunitycenter.org, [email protected] or call 814-457-5033. The Center is located at 430 Broad Street and will serve as a Donation Location on May 10th. Redbank Valley Education Foundation The newly established permanent endowment fund gives the school district a new way to support the students and the school community. It targets the needs our students and faculty, and especially the donors to the fund, identify as important to them. Only the growth of the investment is used; the initial donation is held permanently. The RV General Scholarship Endowment distributions shall be restricted to fund income in excess of a minimum market value principal of 30K It is funded by tax deductible donations that are invested to earn interest. The Endowment Fund is administered through the Clarion County Community Foundation, an affiliate of the Bridge Builders Community Foundations. The RV Undesignated Fund is a non-endowed fund with no distribution restrictions from principal or income sources. Donations that are not earmarked for a specific fund will be placed in the RV Undesignated Fund. Donors can donate to a specific fund. The Foundation will honor the donor’s intent based on the Foundation’s recommendations and for charitable purposes. RedbankValley.net or call 814-275-2426. Redbank Valley Public Library’s mission is to bring people, information, and ideas together to enrich lives and build our community. We need your support to help the library succeed in its mission. Our goal is to have the library serve as the heart of your Redbank Valley. Your generous donations allow us to purchase new books, improve our video selections, and replace our aging computers in the coming years. 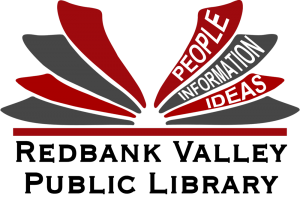 The Redbank Valley Public Library provides a safe environment where people of all ages are welcome and can find engaging information and activities. We recently hired a new Library Director who will be fundamental in creating programs aimed at all of the constituents in our region: tiny tots to senior citizens. The Library aims to be a place of engaging interaction, a source of learning and entertainment for everyone. For more information, please visit www.youseemore.com/NewBethlehem/directory.asp or call 814.275.2870. The library is located at 720 Broad Street and will serve as a Donation Location for the Day of Giving. Redbank Valley Trails Association, an all-volunteer organization, is improving and maintaining the award-winning 51-mile non-motorized, 4-season Redbank Valley Trails, from the Allegheny River to Brookville and the 9-mile Sligo Spur which is now being improved. Donations help volunteers improve and maintain the trails for the community to enjoy and benefit from the recreation, relaxation and fitness opportunities the trail presents in all 4 seasons. Tourism dollars from those who are drawn to visit are helping new and existing local businesses grow. This year’s goals for which donations are needed include finishing the remaining 3 miles of the Sligo Spur, improving the Middle Run area, refreshing crushed limestone on the main trail, and other improvements. Donations can be used as gifts to name bridges, shelters, picnic tables and other amenities and are much appreciated. www.redbankvalleytrails.org, [email protected] and 814-275-1718. Contact Sandy Mateer at 814-275-1718 for more information or to donate to the match fund for all organizations. All donations stay local and can make a real difference here in the Redbank Valley. ‘Download & Share’ our Day of Giving Flyer to hang in your business or church by clicking the flyer below. Thank you for your support!